TEMPORARILY OUT OF STOCK...New designer collection. Fashionable beige linen fabric with covered rope handles and satin fabric bottom trim. Available in three choice colors, black or hot pink. Durable construction, oversized with padded side walls. Lined with over the shoulder adjustable strap. 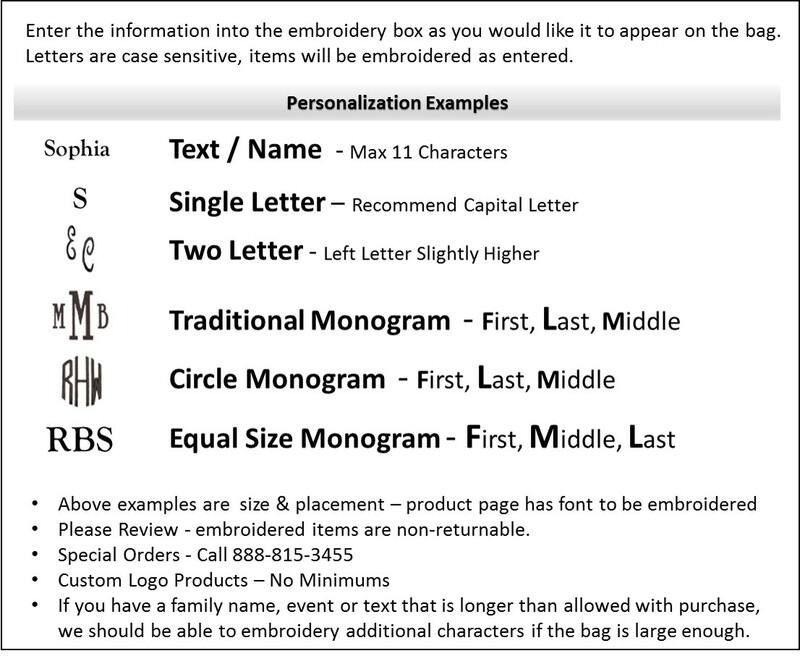 Includes name, single or three letter monogram with purchase. 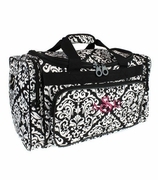 Add a matching envelope cosmetic bag for a complete set, search item MSC-CBLN9891. Perfect gift for graduation, wedding bridal gift or retirement present. 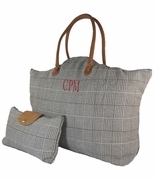 Linen color block travel bag measures 20W" x 15H", extra wide 8" bottom. I bought this bag as a gift for one of my daughters friends for her birthday. I got one for my daughter too, for sleepovers! I'm thinking of getting one for myself. I gave 4 stars, I wish they offered more colors!